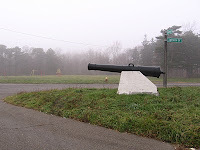 Rouge Park, with its 120 acres of parkland, was briefly featured in the February 2010 issue of Hour Detroit. The article gives a brief overview of the park's history and why it's so cool. You can read it on-line at the link below. Wow! I've been spammed in Chinese. I guess the internet truly is world wide.